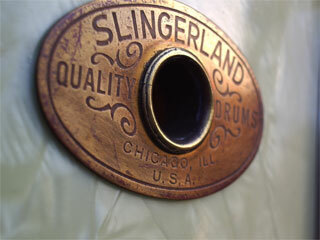 Outdistancing all models of a similar or even more expensive price, Slingerland Radio Kings were the choice of famous drummers like Gene Krupa and many others. 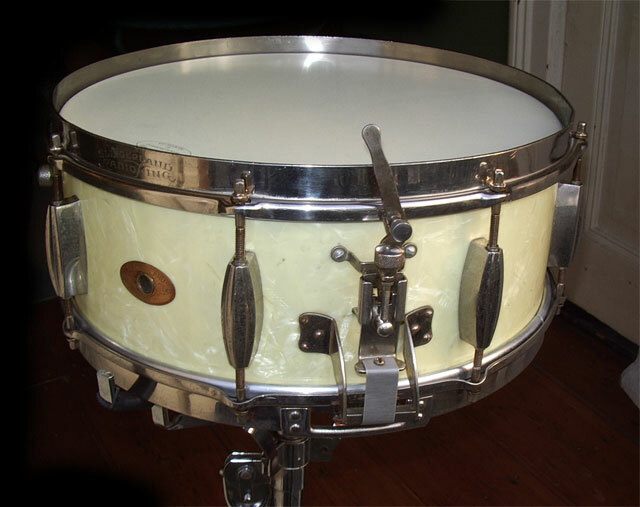 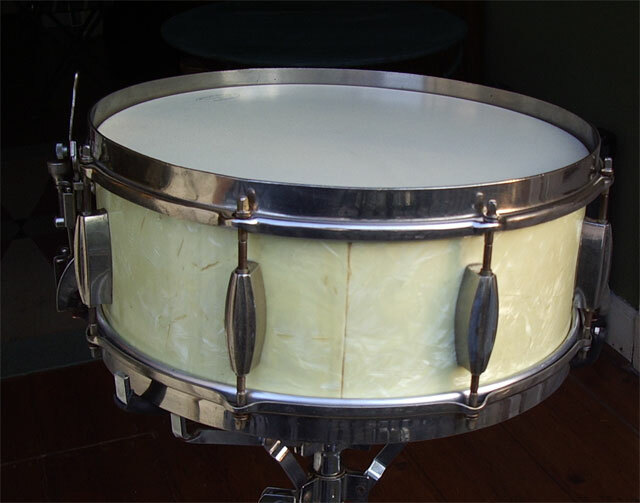 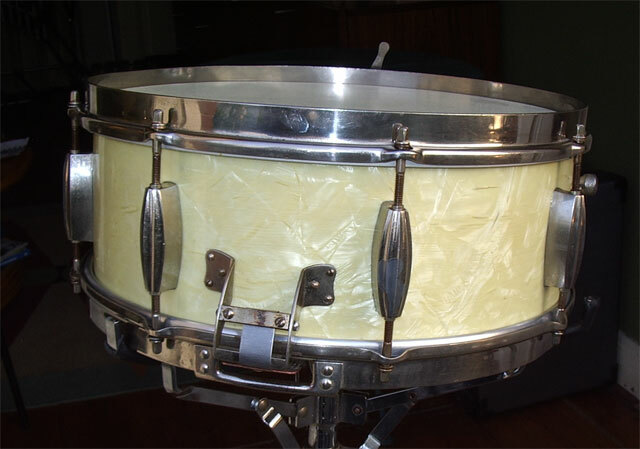 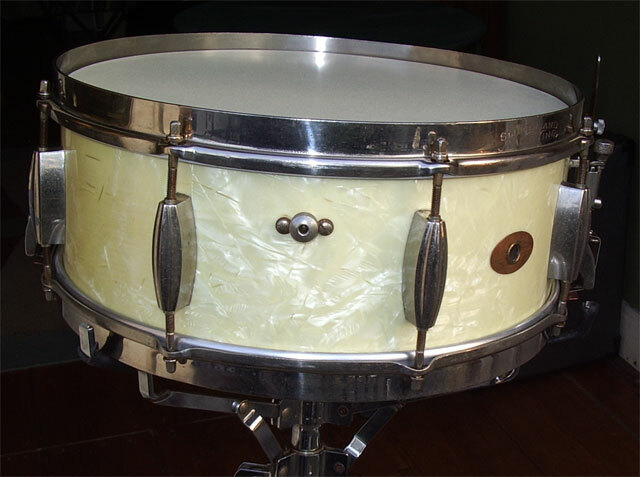 This drum was made in 1950/1951, complete with the brackets, cigar lugs, radioking strainer, muffler, stickchoppers and a very thick 1-ply solid maple shell and solid maple reinforcement hoops. 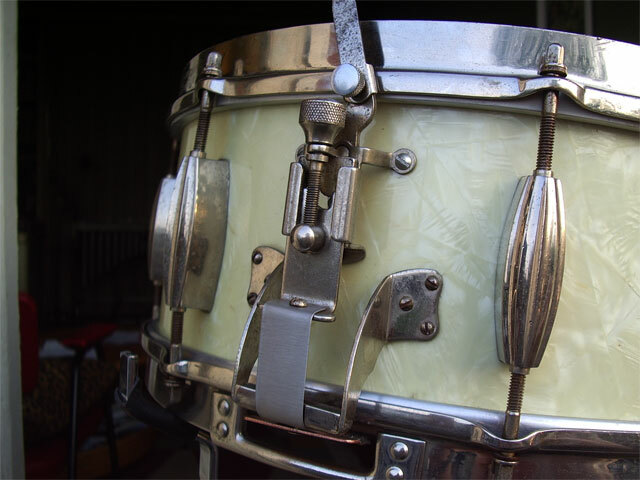 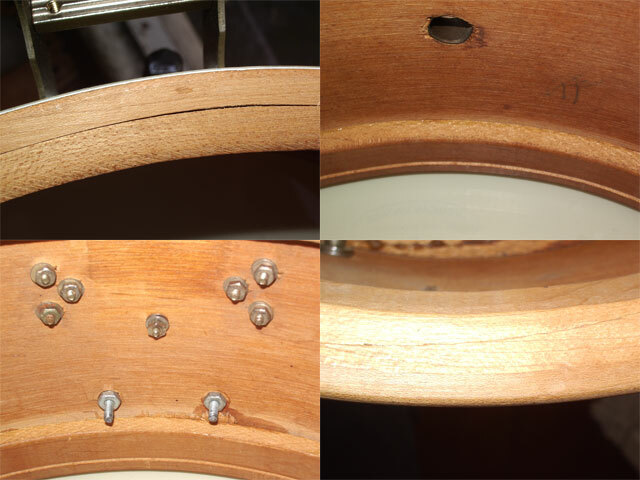 The snarewires are replacements by Purecussion and, like the originals, extend the drum on each side and held in place by the Radio King brackets.